On Monday night, the hammer fell. Here at E3 2013, Sony took the stage hours after an admittedly impressive Microsoft presentation, looked directly into its competitor's eyes, and reminded us all of the PlayStation's vaunted heritage. You want games? You got 'em: Over 140 games are in development for the PlayStation, 40 of them PlayStation exclusives. Sony paraded indie developers--long relegated to the backwaters of the Xbox marketplace--across the stage. You can share your games with friends; just hand them the disc, Sony trusts you. Hell, you can even play those games offline. And the whole shebang will set you back $400 when it debuts later this year--that's a full hundred dollars cheaper than the Xbox One. For two hours, we looked on in glee (or horror) as Sony CEO Jack Tretton and his cohorts artfully picked apart Microsoft's draconian rules, intrusive hardware, and misplaced hubris. And you know what? Game over. Sony won. Here's why. Sony announced 40 PlayStation 4 exclusive titles that will come down the pipe this year, and midway through the first hour of its presentation we came to the horrid realization that the company's executives would possibly show us all of them. This is a good problem. The presentation was admittedly a little light on substance--watch a trailer, get a title, move on to the next--but it gave prospective PlayStation 4 shoppers a highlight reel of games they might be interested in. Like shooting things? Try Killzone: Shadow Fall. Want to race cars? Check out Drive Club. Hankering for a bit role-playing? Check out Final Fantasy XV or Kingdom Hearts III. Microsoft may have scurried off with a slew of historically PlayStation-exclusive developers like Insomniac, but Sony proved that there'd be more than enough variety coming down the pipe from 14 entities that makes up Sony Computer Entertainment's Worldwide studios. And there's be plenty of exclusive debuts, as onerous as those are--Elder Scrolls Online and Mad Max will both show up on the PlayStation 4 first. And then there are the indies. Microsoft and independent developers have had a checkered past, and independent developers won't be allowed to self-publish on the Xbox One. Coupled with draconian rules--and $40,000 patches--indie devs haven't found much of a warm welcome in Microsoft's cold embrace. Sony, by contrast, has been more than happy to soak up all of that viral love and attention, offering indies their own prominent section on the PlayStation Network and showing their partners' wares off on stage, albeit briefly. Klei Entertainment's Don't Starve, Young Horse's OctoDad, SuperGiant Games' Transmission--all brilliant games developed by small teams, all seeing their console debuts as PlayStation exclusives. 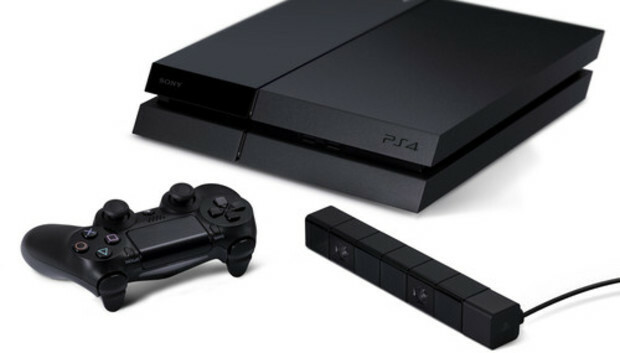 With the PS4, the PlayStation Network will get revamped to support cross-game chat, allow you to share replays of your gaming highlights, and let you play games as they're being downloaded. The PlayStation Plus program--$60 a year and one of the best deals in gaming--will carry over to the PlayStation 4, and the free games will continue to pour in on Sony's next-generation console. You'll have to pay for your multiplayer experiences on the PlayStation 4, but that's a development that's been a long time coming (and is par for the course for Xbox Live). And then there are simple things, like being able to share your games, buy and sell used games, and simply play your games without an Internet connection. The 2013 Electronic Entertainment Expo has barely begun, and calling a winner might feel premature. But Sony has twisted the proverbial knife into the gaping wound that was Microsoft's bungled Xbox One launch by addressing our privacy and connectivity concerns and shaving $100 off of the price of entry. The next-generation console wars have only just begun, but Sony has made a strong case for betting on PlayStation this round.